Are you a Bhai fan and love Marvel movies? Then on April 26, then you might enjoy the treat of watching both Salman Khan and Avengers on the same big screen. Not together, of course. We had earlier reported about how the first official trailer of Bharat will be coming out in April 2019. The reveal date is affirmed to be on April 24. Bharat is directed by Ali Abbas Zafar and also stars Tabu, Katrina Kaif, Jackie Shroff and Sunil Grover. Bharat Director Ali Abbas Zafar Confirms the Trailer of Salman Khan and Katrina Kaif's Movie Will Release Next Month. 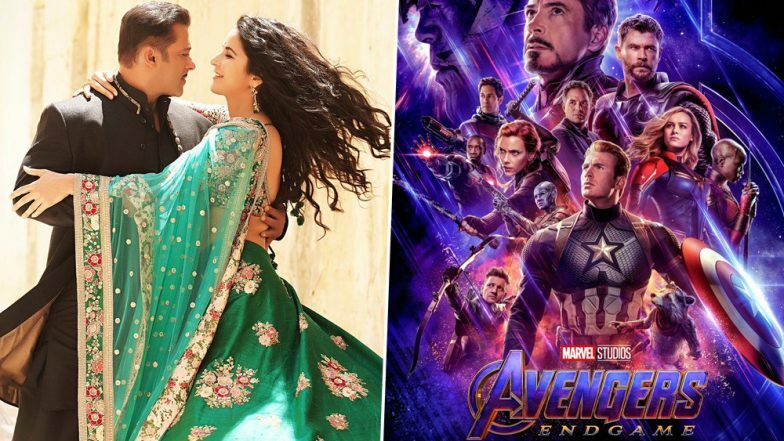 Now as per trade analyst Taran Adarsh, the trailer of the film will also be attached to the biggest Hollywood film of the year, Avengers: EndGame. The superhero ensemble movie is scheduled to release on April 26. So while we will be worried to know how the beaten Avengers manage to defeat Thanos and nullify the effects of his snap from Avengers: Infinity War, Salman Khan will entertain us in the interval with his Bhaigiri thanks to Bharat! Salman Khan and Katrina Kaif Wrap Up The Final Schedule of Bharat - See Pic. Bharat is confirmed to release during Eid, that is June 5. It is an official remake of the Korean film, An Ode to My Father. Salman Khan's character will be seen going through various age changes and there is going to be some CGI work to make him look like a teenager. As they did with Robert Downey Jr in Captain America: Civil War.